The Vultee V-11 light bomber was derived from the unsuccessful V-1 passenger transport. The V-1 sold in very small numbers because, as a single engine aircraft, it did not meet the safety requirements to operate on most routes. The V-11 was an attempt to militarise the type as a two or three seat light bomber and liaison craft. The V-11 featured a long greenhouse-type canopy for the crew, low wing configuration, and a stressed all-metal skin of semi-monocoque construction. The export V-11 supplied to China were equipped with R-1820 Cyclone engines which could drive the bomber along at just over 200mph. 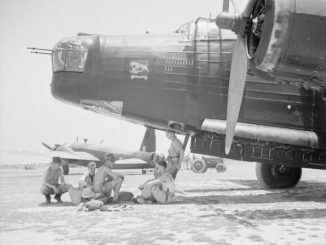 The Chinese Air Force ordered 30 V-11Gs in 1935, with the bombers entering service in late 1937 whilst the “China Incident” was underway. 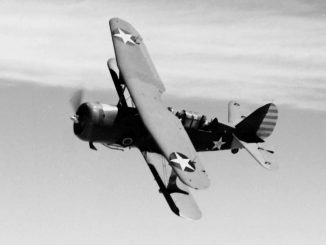 The initial batch struggled to make an impression under the difficult combat conditions, and more emphasis was placed on training crews on the Soviet SB-2 and DB-3 bombers. Later batches of improved V-12s enjoyed some success, but had largely been withdrawn from frontline service by 1940. 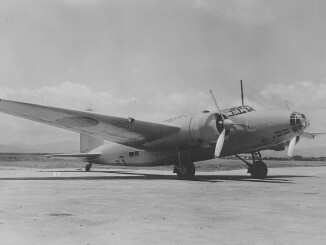 Allied intelligence erroneously believed that the V-11 was in Japanese service, and so assigned the Allied Reporting Name “Millie” to the type in 1942.